ATD Fort Worth/Mid-Cities - September Monthly Meeting - Presentations That Work! September Monthly Meeting - Presentations That Work! We welcome everyone to our meetings. If you would like to become a Chapter member, just join online, or ask at sign-in desk at the meeting. If you or your Organization would like to purchase 5 seats to a meeting this is your best option. Please add names to comment section. This option is for 5 people and 5 dinners. Please add names to comment section. Preparing for training delivery, Finding success in front of a room, and collecting feedback! Donnie is a dynamic speaker, sales force trainer and coach; and because of his passion and drive, he makes training challenging and enjoyable. He has consistently demonstrated his ability to deliver as a sales person, with his successful 11 year background in the printing industry. As Partner with Sandler Training, he works with businesses helping them develop a sales culture. By changing their behaviors in thinking, communicating and learning, companies learn how to do a better job at selling in order to deal with increasing competition, fewer or no call-ins and the commoditization of their products and services. Donnie helps companies understand the need for a sales culture and a systematic approach to the new climate and the need for change. 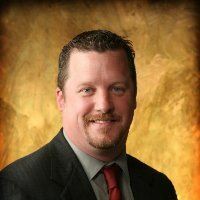 With over 15 years of experience in sales, marketing and management, he is a strong sales professional that can bring tremendous value to your program. Donnie grew up in Fort Worth graduating from a local high school after which he served honorably in the United States Marine Corps. He serves on boards of various civic, military and professional organizations, and is president of three prominent networking groups. He is the president of a local non-profit Connecting for Conquerors which helps raise funds and awareness for Cancer Care Services. He lives with his wife Elizabeth, of eight years and they have three dogs and 2 cats. This meeting will start at 6:30 PM at the Holiday Inn Express & Suites DFW West, 820 Thousand Oaks Drive, Hurst TX 76054.